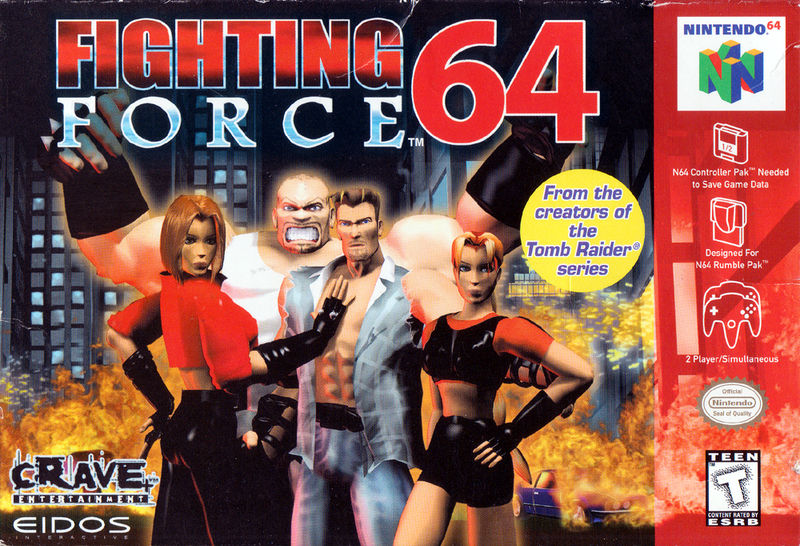 Краткое описание: Fighting Force players control one of four characters. They move through urban and science fiction environments, battling waves of oncoming enemies with weapons ranging from fists and bottles to knives, chairs and guns. The player can make some choices as to which territory to travel through. The four characters have various reasons for taking on Dr. Zeng, a criminal mastermind with an army at his command. The action starts with a police cordon around Zeng's office skyscraper, moving to such locales as a shopping mall, subway and Coast Guard base before finally ending at the top of Zeng's island headquarters. 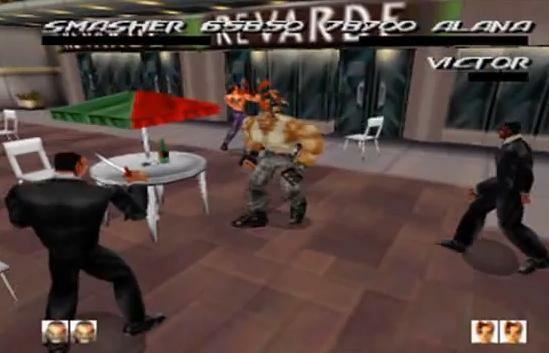 Fighting Force players control one of four characters. 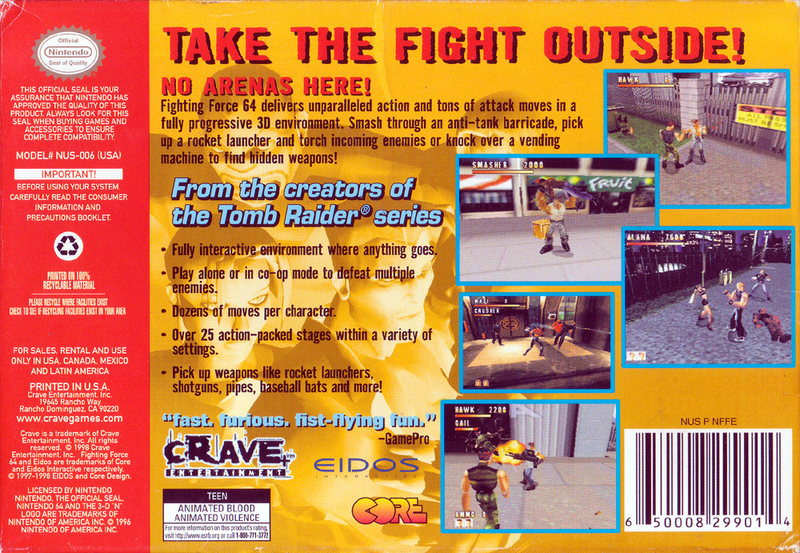 They move through urban and science fiction environments, battling waves of oncoming enemies with weapons ranging from fists and bottles to knives, chairs and guns. The player can make some choices as to which territory to travel through. The four characters have various reasons for taking on Dr. Zeng, a criminal mastermind with an army at his command. The action starts with a police cordon around Zeng's office skyscraper, moving to such locales as a shopping mall, subway and Coast Guard base before finally ending at the top of Zeng's island headquarters.